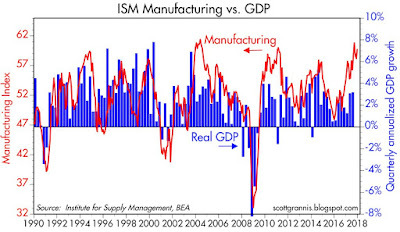 Chart #1 compares the ISM manufacturing index to quarterly annualized GDP growth. The two tend to move together. 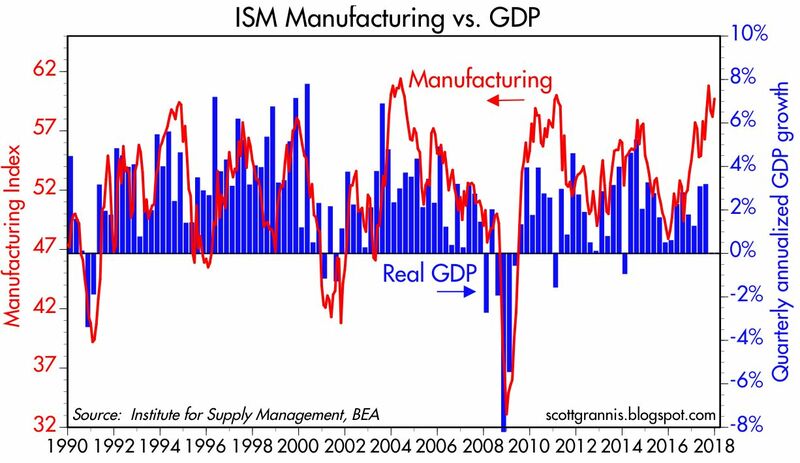 As the chart suggests, the recent strength of the manufacturing index is consistent with very strong GDP growth in the fourth quarter. The market is expecting to see something on the order of 3%, but this chart says it could be 4% or better. 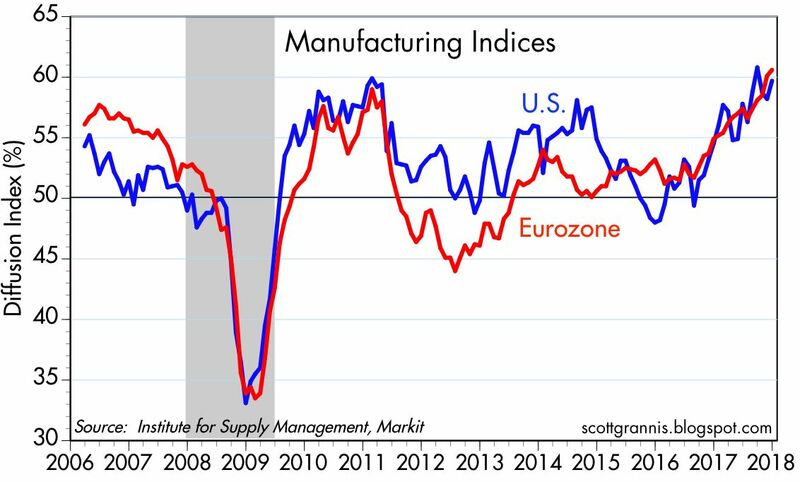 Chart #2 compares US manufacturing to that of the Eurozone. Both have been unusually strong of late. 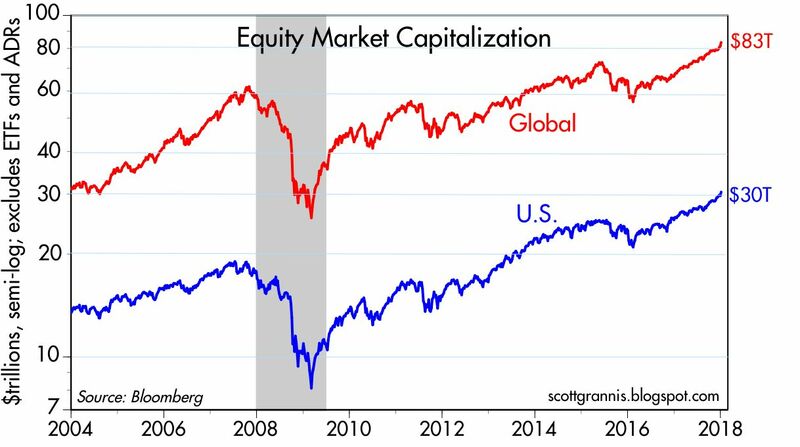 It's very likely that the world is in the midst of a relatively strong, synchronized growth phase. 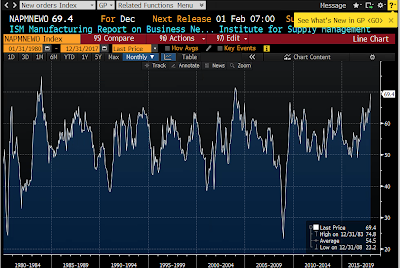 Chart #3 shows the New Orders subindex of the ISM manufacturing survey. It's rarely been this strong. 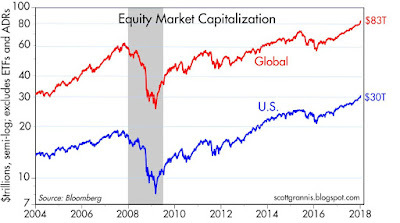 Not surprisingly, equity markets continue to do very well, both here and abroad, as Chart #4 shows. And with the 10 year note trading at a shade under 2.6% looks like a bond selloff may be imminent. Since the average investor lacks inertia, they could see some serious losses in their portfolio they are NOT used to seeing. The sector seems to be on the improve. 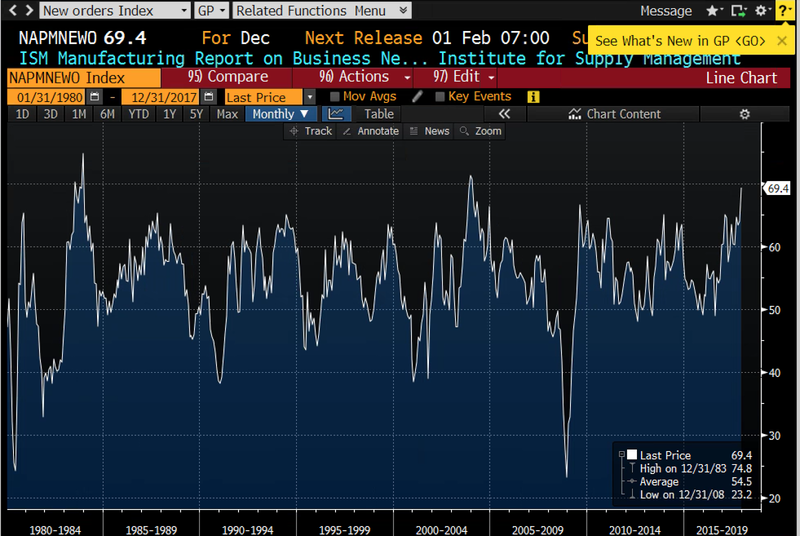 Still, factory output is below 2007 levels. See above chart. Blame Bush jr., blame Obama, blame it on the boogie. This country took a gut punch in 2008 and we are only clawing back now. Long-time reader, first-time commenter. Great blog. Thank you, Scott! What is the correlation between bank reserves and demand for money? Jorod: To begin with, it's difficult to find a reliable proxy for the demand for money, so it's even more difficult, if not impossible to find the correlation between the demand for money and bank reserves. Arguably, bank reserves are the ultimate measure of the supply of money, since restringing the supply reserves is what the Fed has effectively used to regulate the amount of money in the economy. Today, however, bank reserves are super-abundant, meaning that banks have an almost unlimited ability to create new money. So your question asks something that is impossible to answer objectively. I would argue that all we can do is observe sensitive prices in order to infer what is going on with the intersection of the supply of money and the demand for it. Those sensitive prices include the value of the dollar vis a vis other currencies, the price of gold, credit spreads, the slope of the yield curve, and inflation expectations as measured by the difference between nominal and real Treasury yields. I would argue that today we are seeing early signs that the demand for money is declining (because confidence is rising) at a time when the supply of money remains abundant. 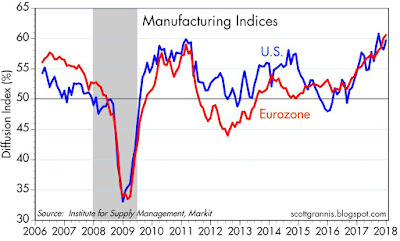 Those signs include a rising gold price, a weak dollar, and rising inflation expectations.